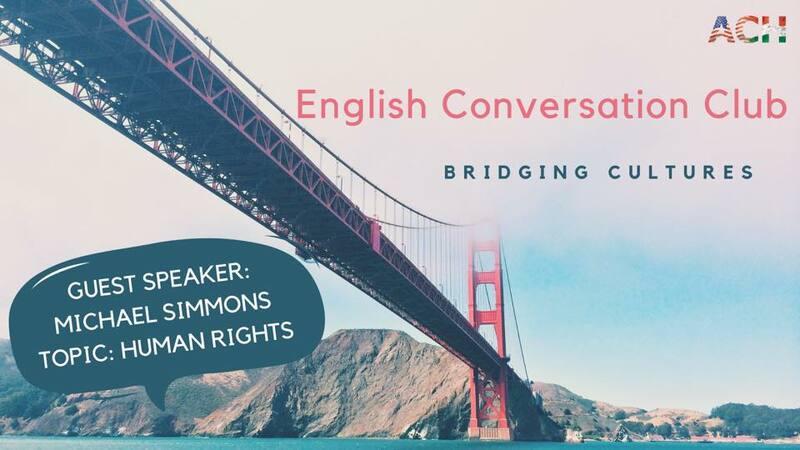 The English Conversation Club welcomes guest speaker Michael Simmons, who will facilitate a discussion on the topic of human rights. Michael Simmons is an international human rights activist who has been working in peace and justice activities for over 40 years. From his early organizing activities in the African American Civil Rights movement, to advocacy on behalf of women and Roma in Europe, Michael has been at the forefront of social justice and social change organizing in a wide variety of contexts and issues. Please let us know in a message to American Corner Veszprém or an email to veszpremach@gmail.com if you want to join the event.